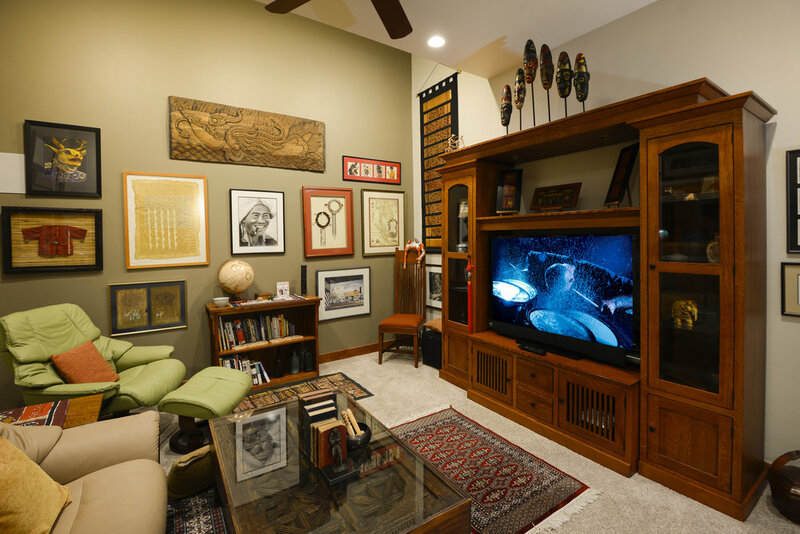 Take a look inside a fabulous project we recently completed! Fully automated including motorized shades, motorized door locks, Thermostats, Truly HANDS FREE Lighting, Audio/Video, Security & More Secrets. 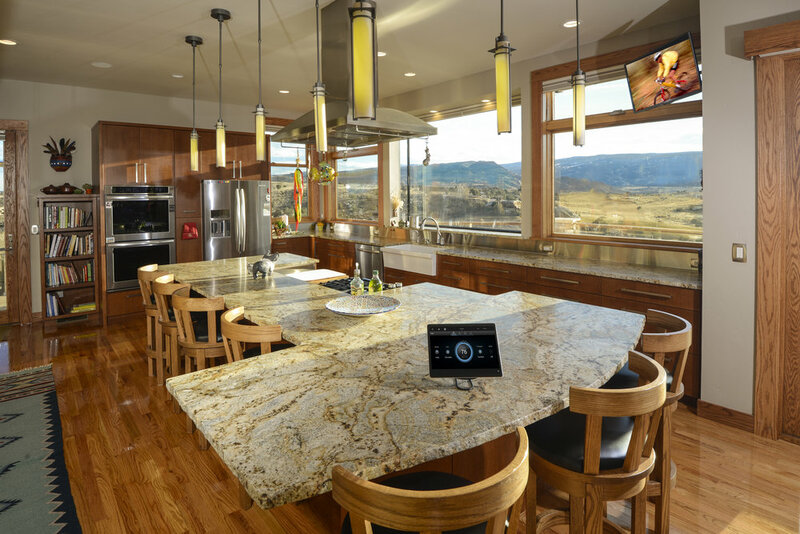 When we first were approached by this client regarding his custom home he was filled with skepticism about why a custom integrator was necessary. During his research he found that almost every piece of technology he was considering offered its own control App. Since he is a retired technical engineer who worked on industrial automation systems all over the world he felt like he could run a few wires himself, buy the equipment online & connect it to a wireless network & use the factory Apps. He had hand drawn his own lighting layout that consisted of a labyrinth of 3, 4 & 5 way switching locations that would have been an eyesore & complicated to use. Once we presented a few scenarios explaining how using all the different Apps would be frustrating & limiting the client gave us an opportunity to give him a “One App” Home! How this works is if they are home the system knows because of strategically placed occupancy sensors in ‘every’ area of the home. If it is daytime the system knows to not waste energy turning on lights in areas lit with sunlight. During late-night the pathway lights barely turn on, dimming the (All LED) lights to a safe but not annoying 4%. The thermostat programming works on the traditional 4 time of day you are used to but the big kicker is when the owners are not home the system falls back to an unoccupied setting proactively saving energy. So even if they are just out late for dinner or away for a weekend the house does not require any input from the client. It will shut its own lights off, set the temperatures back, close & lock doors, arm the security & operate the motorized shades to maximize solar heat gain depending on time of year. Keeping in mind we were working with a skeptical client we worked hard to keep the budget down by using the affordable but amazingly capable Control4 system. Also we avoided the need for a centralized HDMI matrix by using a combination of Tivo Minis & Apple TV’s locally located behind each of 5 TVs. With this they are able to pull any TV recording from the Tivo Roamio to any TV in the house. Also the Apple TV’s feel like a virtual matrix because they have access to all their iTunes purchases, Netflix account & of course much more all at the same time from every location. We used simple Digital to Analog converters to send audio back to the Control4 integrated audio matrix. Last but not least we used “His & Hers” Sonos music players to serve up a very user friendly experience through the new Control4-Extra Vegetables Sonos driver. Other unique features of the project are the vehicle detection system in the driveway chiming a particular alert when someone pulls up through the distributed audio system. Door bell also integrated into the distributed audio system. Garage door sensing & triggering system, Motorized door locks on key doors. Security system covering burglar, smoke, carbon monoxide, low-temp/freeze & water detectors. Every light in the house is LED & is Dimmable. Motorized Shades for both privacy & solar heat gain control over 90% of the windows. Beautiful & expensive Satin Nickel & Venetian Bronze Control4 Faceplates on the light switches & visible outlets. Centralized Thermostats with remote sensors to cut down on wall clutter since it is easy to make any adjustment necessary from the App. Even the fireplaces are integrated with the App & appropriate timers. Power protection behind each TV & on all A/V equipment. Hidden under bed subwoofer in Master Suite. After it was all done the client told me that even though he wanted control from many wall buttons he was sad he had us put so many in because he does not use any of them.